Time seems to be in short lately. Between back to school, traveling, my infertility medications and routines, and household stuff, I feel like have little time for anything else. So I'm gonna work on that. We're gonna slow down a bit. Commit a little less, organize a little more, and see what happens. This past week I got to visit my Grandparent's beautiful garden and admire all their hard work. Have you ever seen such beautiful zinnias? I was also able to capture one of the several bees, pollinating their garden. Zoe had so much fun helping pick raspberries and green beans. I hope she remembers this when she gets older. It's such a treasure to spend time in their garden. I did sneak in some creative time yesterday. I finally got to play with Kelly Purkey's new stamps, that arrived last week.I made a couple of cards with her new thankful set, white woodgrain cardstock, and my Amy Tan Ready, Set, Go 6x6 pad. 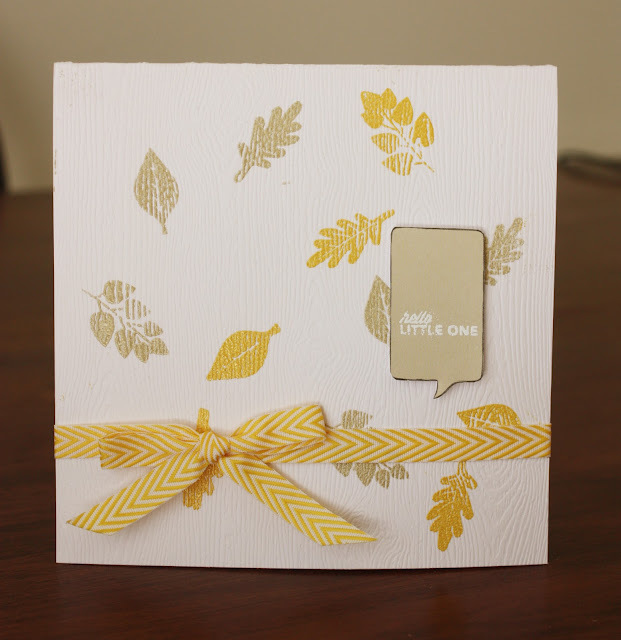 I used American Crafts Zing embossing powder with the stamps, and they turned out great. I have to remember to use my embossing stuff more often, then just make stamped images POP!